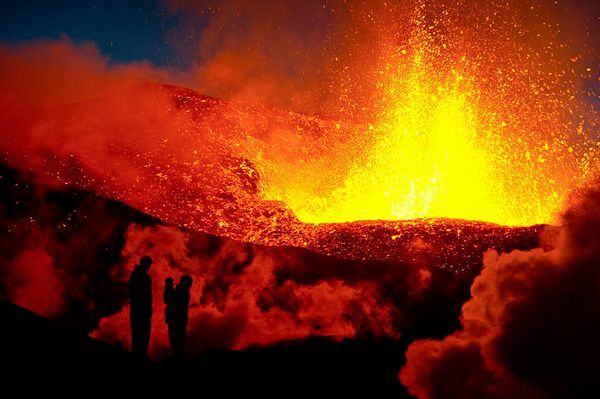 Since the end of August, a volcanic eruption has been ongoing in Holuhraun, which is a part of the Bárðarbunga volcanic system North of Vatnajökull Glacier. The eruption has continued at a similar intensity since the beginning, with no discernible change to the volume or velocity. We have gathered the most important information you need on this page. There is no immediate threat to people or properties at this stage. The eruption is taking place in the Icelandic highlands, far from populated areas. The biggest cause for concern at this moment is related to gas pollution emitted from the eruption site. These gases contain Sulphur Dioxide, which can cause discomfort in large doses. The situation is monitored closely and dispersion models have been effective. Information about preparedness and dispersion predictions can be found in related information below. The situation is monitored closely. Follow the latest news and updates here, and related information below. If gas pollution in a particular area climbs above a certain level, Icelandic Civil Protection authorities will send an SMS to every phone with in the area with an update on the situation.